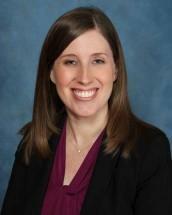 Carrie A. Zuniga is an attorney specializing in estate planning and probate administration. She is an active member of the Lake County Bar Association. Ms. Zuniga began her career with nine years of experience in consumer bankruptcy and representing a Chapter 7 bankruptcy trustee in his administration of debtors' estates in federal bankruptcy court.